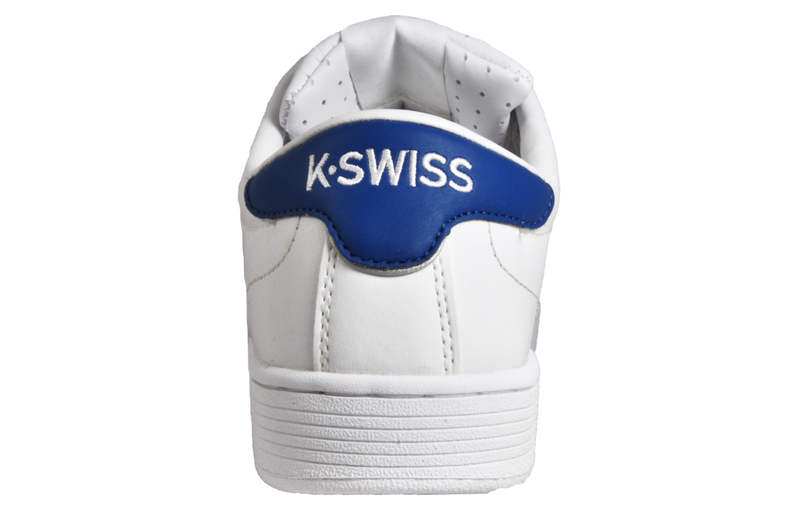 This New in Colourway in the classic K Swiss Hoke is a clean and modern men’s trainer featuring a minimalist design in a white and brunner blue colourway that’s sure to turn heads. 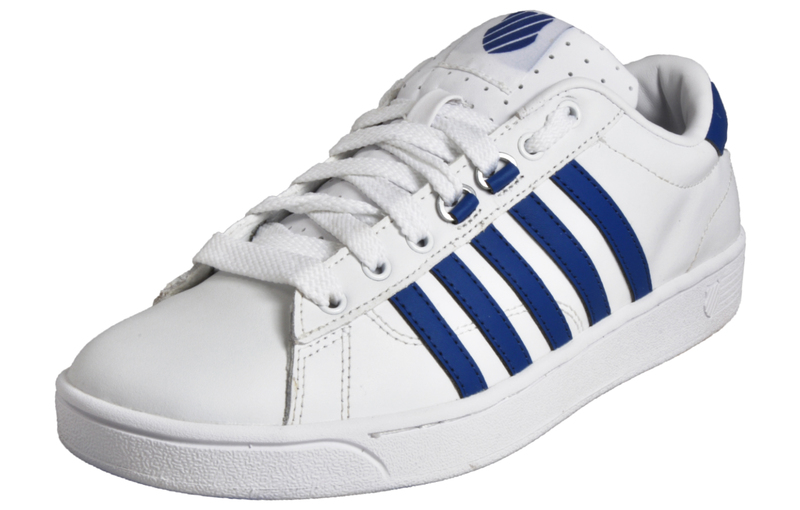 Inspired by retro court favourites, the Hoke features a premium leather upper with classic K-Swiss side stripes in brunner blue adding great detailing. 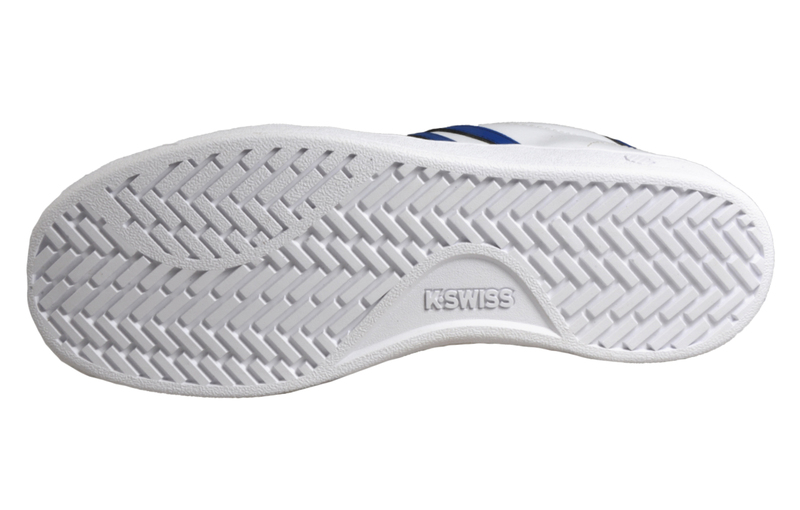 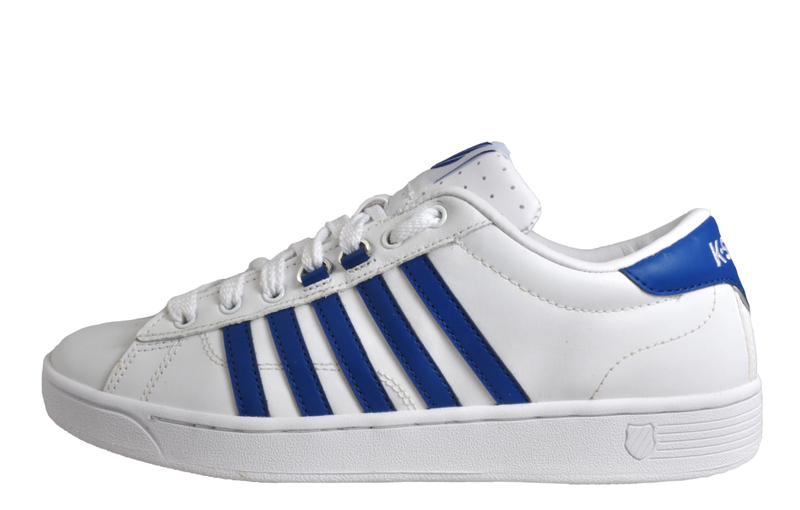 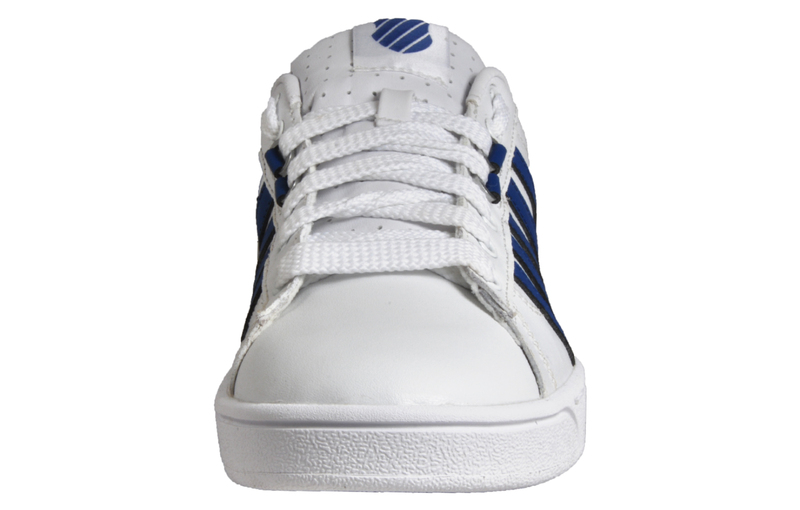 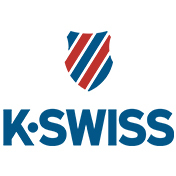 Further K Swiss branding also appears on the tongue and heel for head turning brand authenticity. 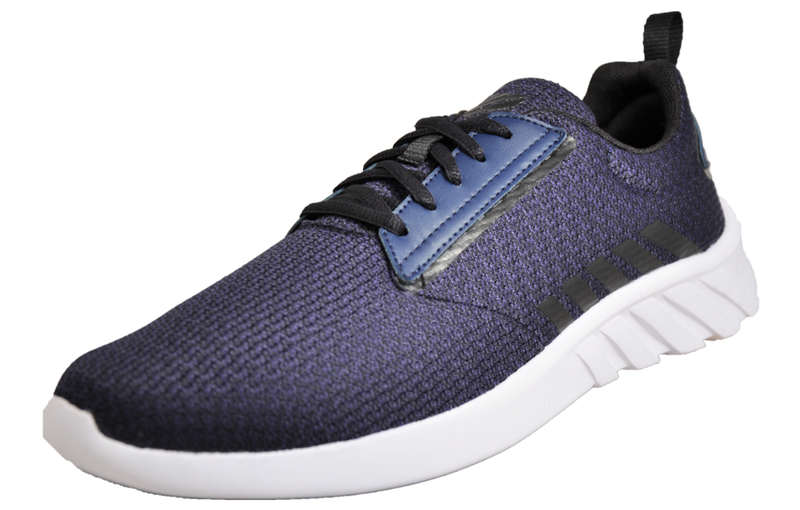 A textile lining and EVA cushioned insole offers a sumptuous feel around the foot, complete with a hard wearing rubber outsole and full front lace system for a safe and secure fit, the K Swiss Hoke is the ideal choice of footwear for whatever the day has in store!